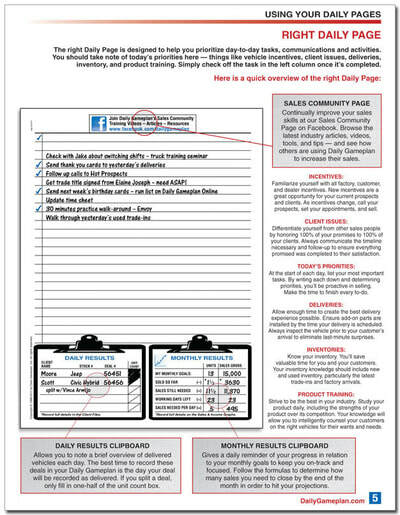 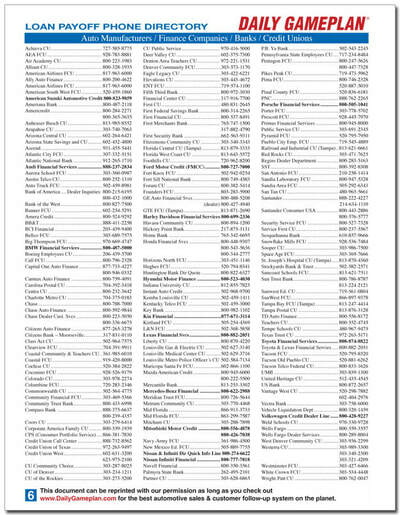 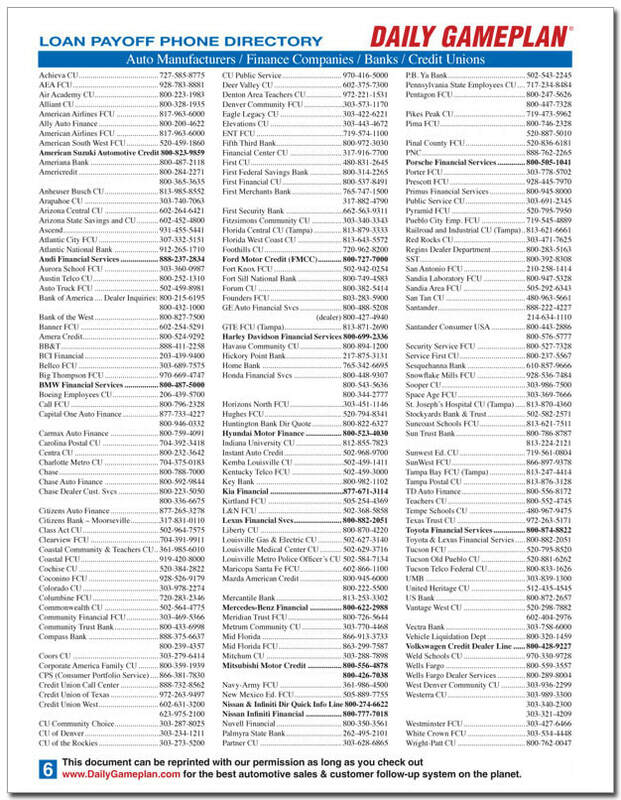 for auto (and related) sales professionals. 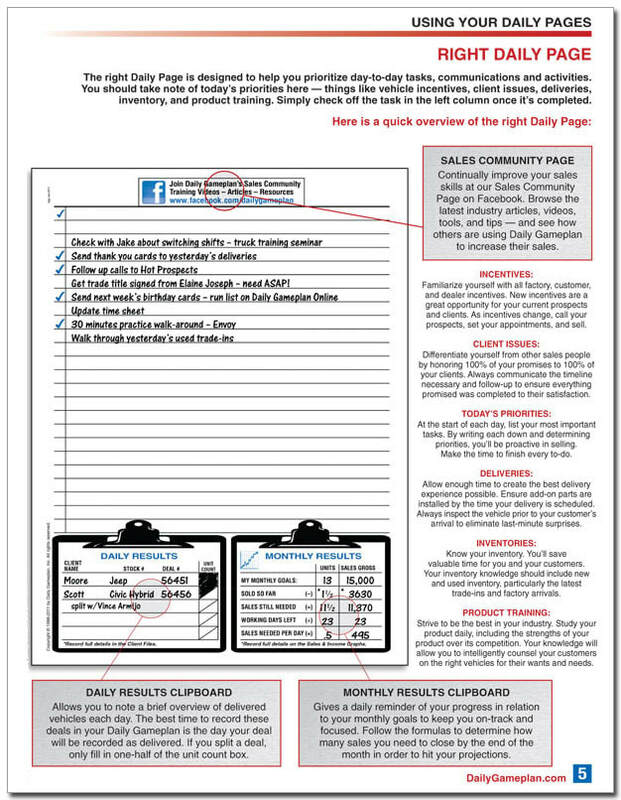 ​Selling can be hard work, both mentally and physically. 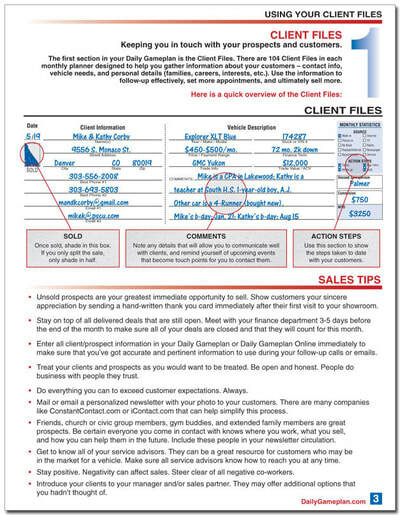 If you're in it, you know the successful sales professionals are the ones that work smart. 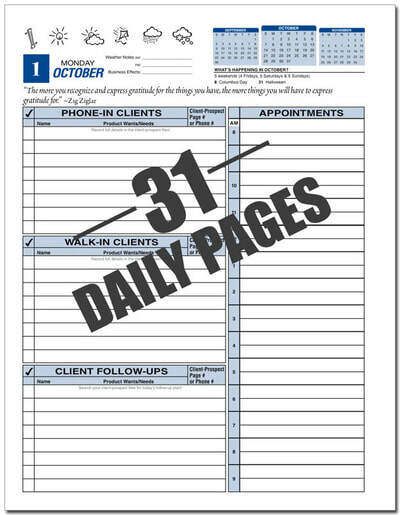 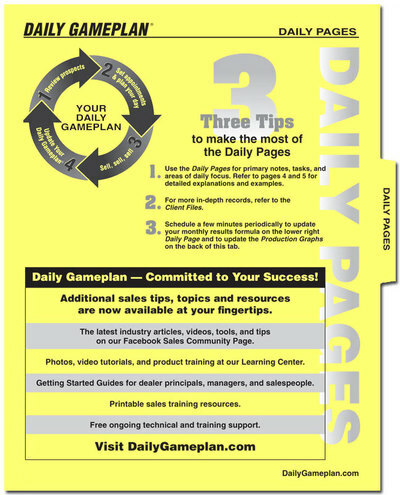 With Daily Gameplan you can keep everything at your fingertips every day. 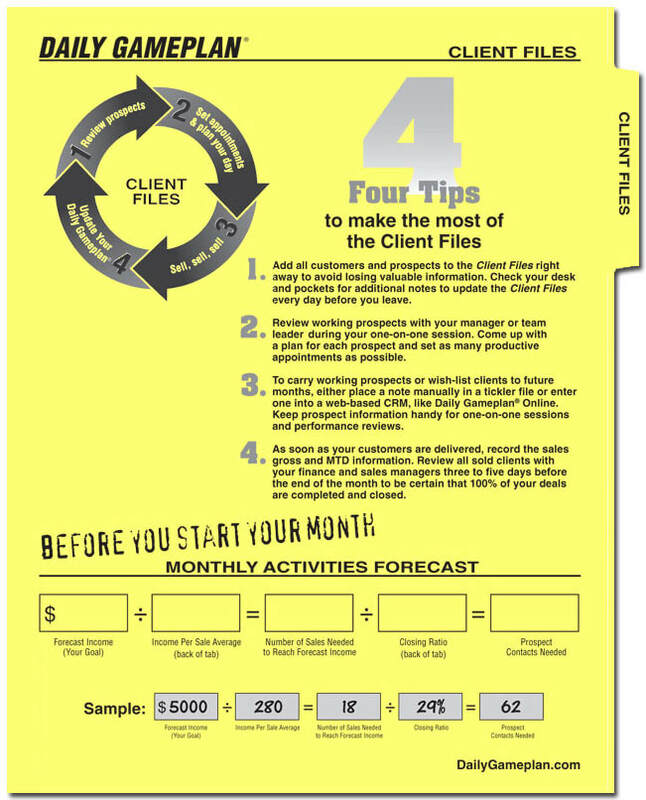 So you'll be able to work smart, stay consistent, and get better with every single client. 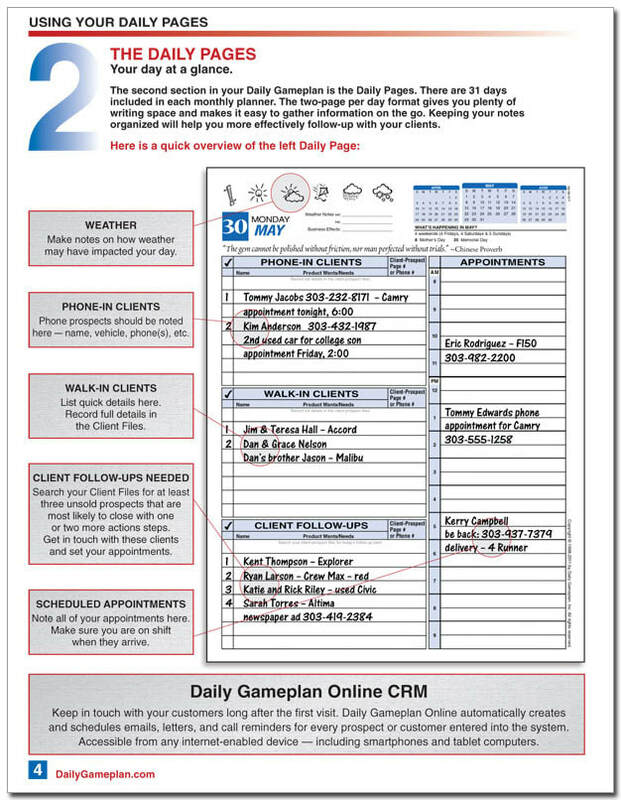 Sure, CRMs can streamline some sales processes, but it can't replace a having a game plan in your hand when you come to work. 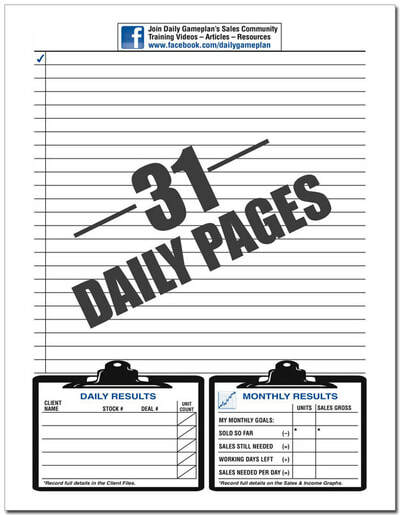 Plus, sometimes, you've just gotta write stuff down. 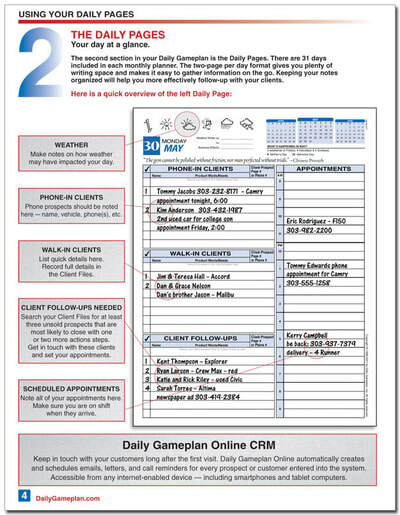 Daily Gameplan is specifically designed to work hand in hand with CRM's by making sure no unsold customers (UPs) slip through the cracks. 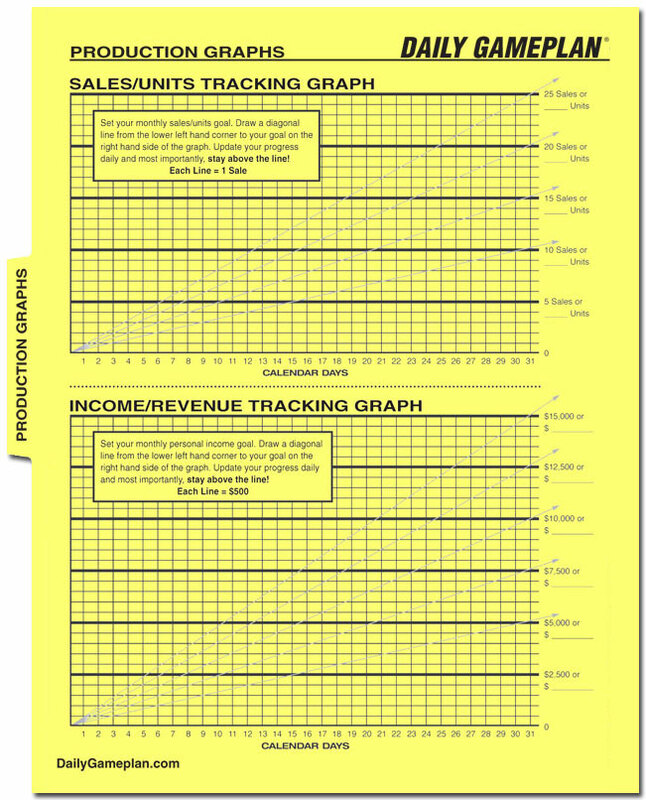 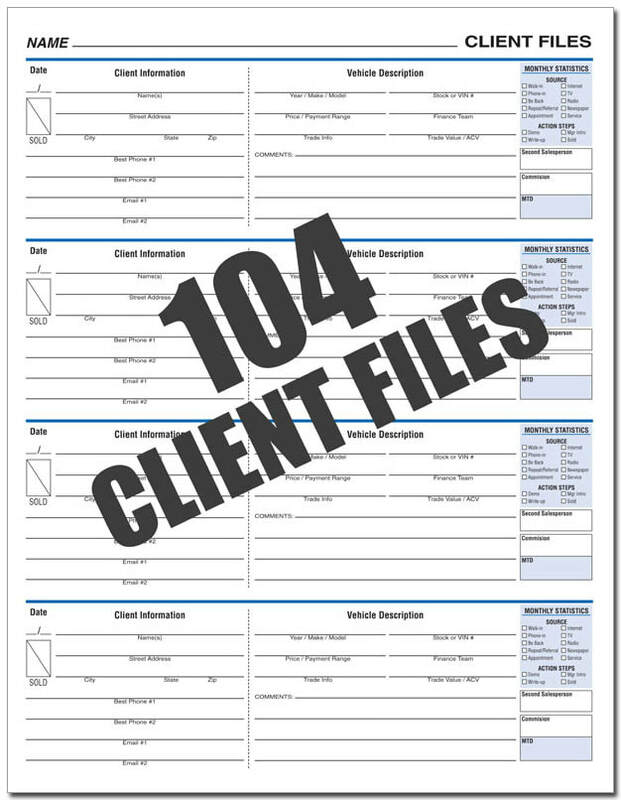 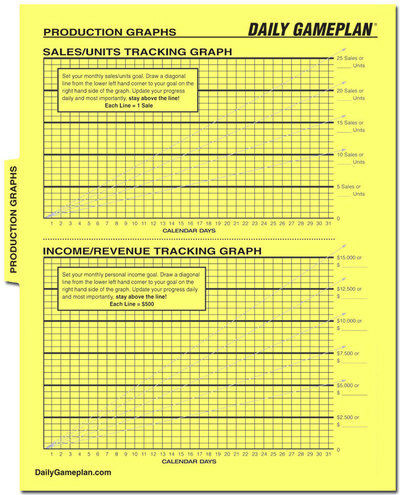 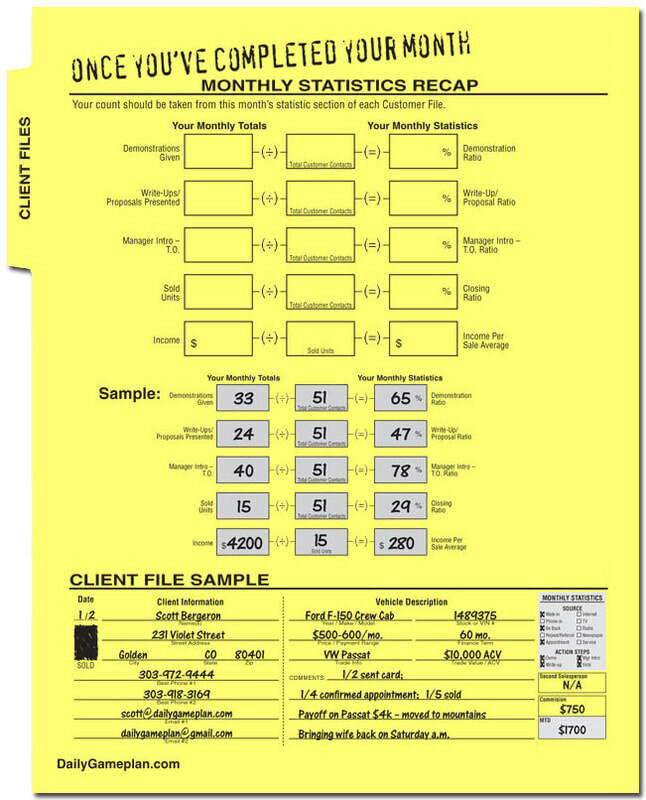 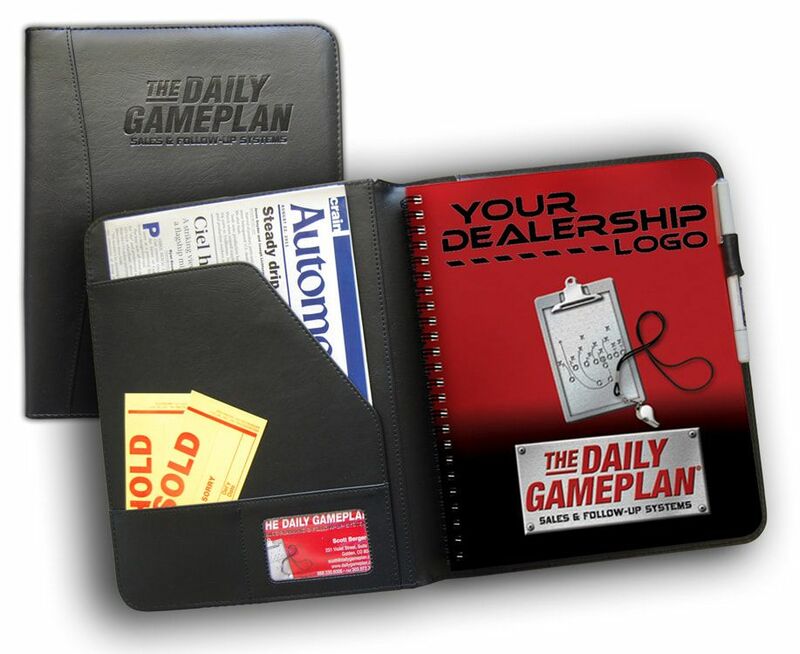 Each planner is designed specifically for the auto (and related) Industries. 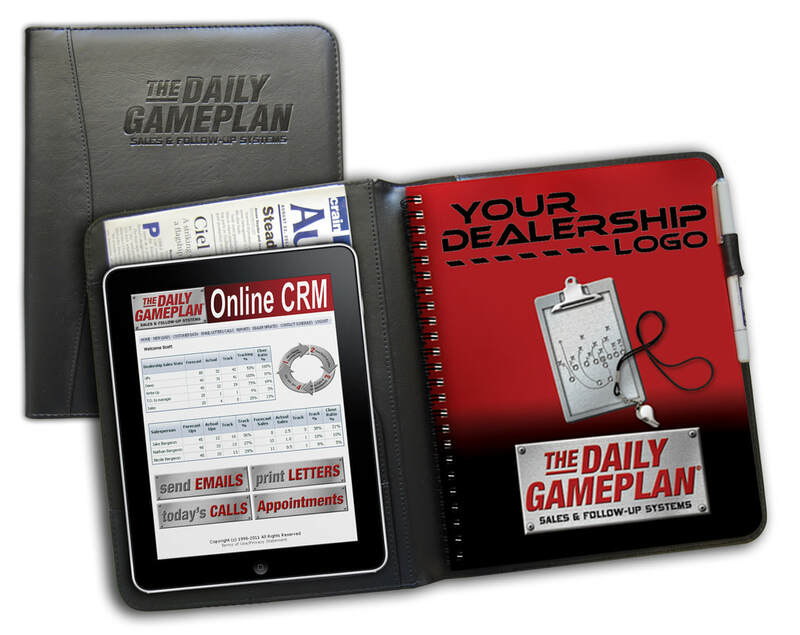 It's custom logo'd, spiral bound, and monthly dated. There's even a motivational quote every day to pump you up. 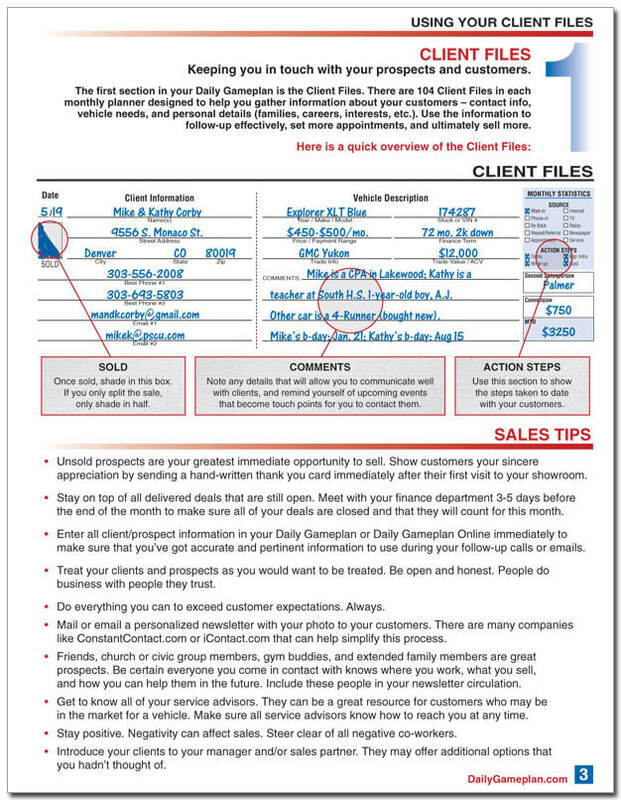 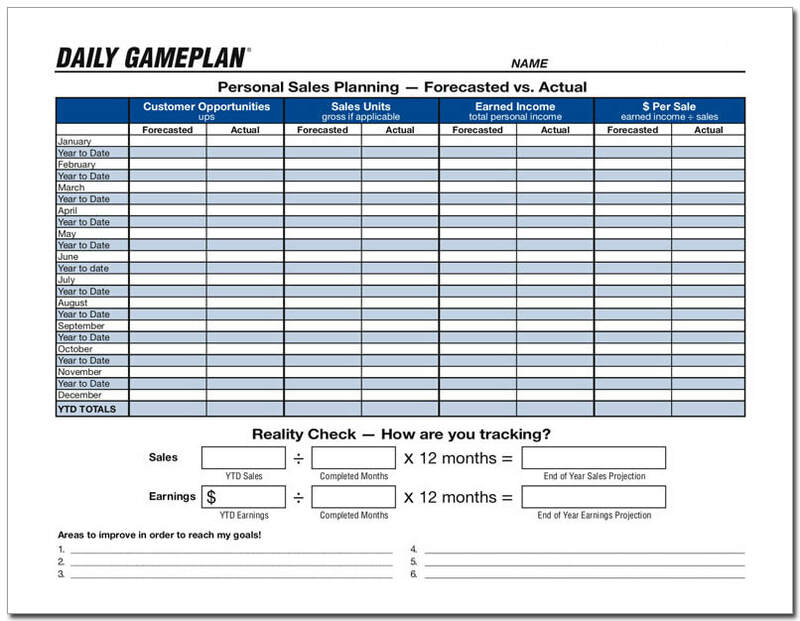 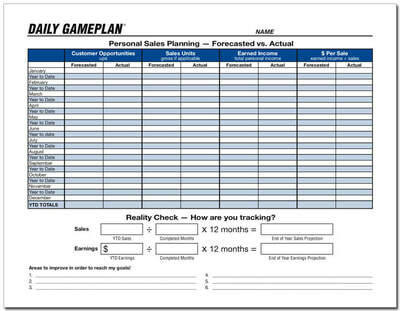 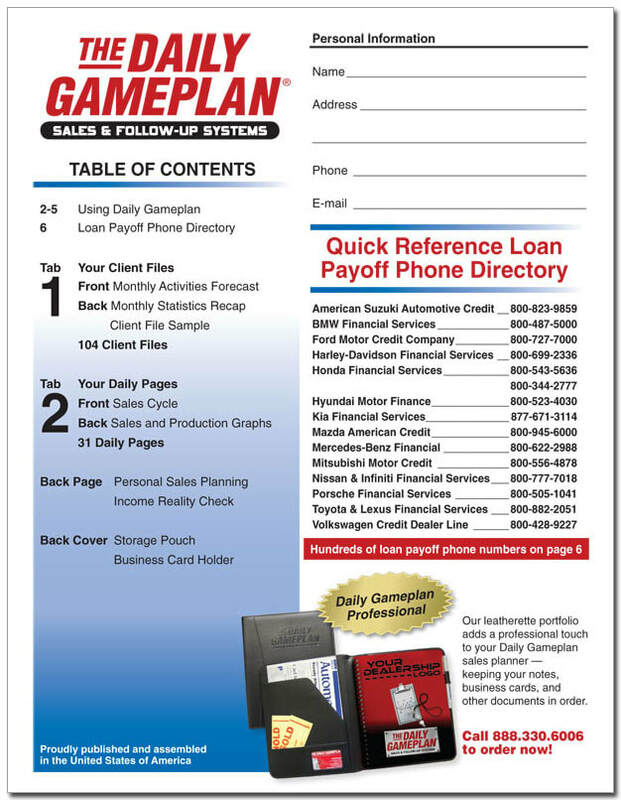 From individual sales professionals, to single point, family owned dealers, to mega dealer groups, one thing is clear - Daily Gameplan planners are the easiest and most affordable way to improve your sales.